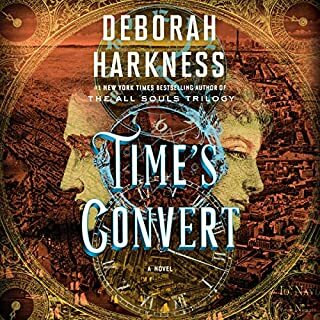 For the new reader of Deborah Harkness, please note this book is a sequel to the All Souls Trilogy. It will stand alone, but you will enjoy and understand the book much better if you read the Trilogy first. Yes, the narration is awful. Saskia tries to do this whispery, mysterious thing. It is especially bad in the first several chapters, which I didn't like at all. The first 2 or 3 chapters are harsh; devoted to Meriam making Phoebe a vampire. This really was not a good way to start a new book, in my opinion. The book does improve. It is not all Marcus and Phoebe. There are a number of chapters in the present time period with Mathew, Diane and . . . their twins Rebecca and Philip. Deb may have told us, but I didn't catch it. My guess is the twins are between 1 and 2 years old and they are going to be a handful. Deb finds a clever way of introducing us to Marcus' past, which is fascinating. I enjoyed the history of this, Marcus in the American and then the French Revolutions. We truly come to understand Marcus and care deeply about him. There are plenty of snippets of our favorite characters including Jack, Ysabeau, Philippe, Marth, Francoise, precious Gallowglass, and Baldwin. Believe it or not Baldwin may be starting to redeem himself. It will be interesting to see what Deb does with Baldwin in future books. My favorite scene in the book. Don't worry this won't give away any plot lines. Ysabeau is giving a room by room tour of Sept Tours to Phoebe. In each room she tells Phoebe of some important event that took place in the room. She gets to what I would call the great hall and says that of course this is where Diane and Mathew were married (reception, actually, they were married at the doors of the church) during the Elizabethan time. She goes on to explain that Philippe never told her about Diane, or that Mathew found his mate and married her, he left that for Ysabeau to discover in the future when Diane and Mathew meet, initially. Hearing Ysabeau make this statement truly brought it all together for me. This was a very touching, emotional statement from Ysabeau and we get yet another peak into Phillipe's way of thinking. The most important thing about this book, that the publisher failed to explain, is that this book is a prequel to the Ancient Magic series. It will stand alone. All of the books in the series will stand alone, but it would be much more appreciated by those who understand who Cass Clereaux is and have listened to other books in this series. 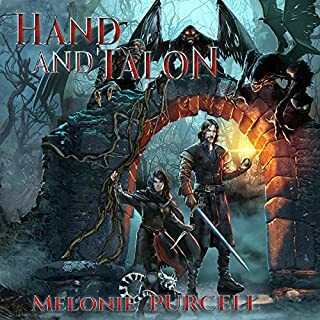 Followers of Ancient Magic will enjoy this story of how Cass acquired her obsidian daggers and how the dreifur meet Claire and Conner. Unwillingly thrust into marriage to England's King Æthelred, Emma has given the king a son and heir, but theirs has never been a happy marriage. 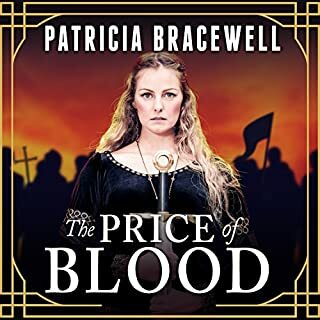 In The Price of Blood, Bracewell returns to 1006 when a beleaguered Æthelred, still haunted by his brother's ghost, governs with an iron fist and a royal policy that embraces murder. Generally the story line is depressing and slow. But it is made worse by terrible narration. Make sure to listen to the narrator before you purchase this book. This is not the same narration as the 1st book. The narrator reads in a sing song fashion, putting inflections in ridiculous places. She makes Emma sound like Countess Dracula from Transylvania. I could not finish listening to this book. Tindr is handsome, kind, and the best hunter in 9th century Gotland. He possesses a deep empathy with animals, which powers his reverence towards the game he takes to survive. But he is also deaf, which closes him off from the society that surrounds him - and seemingly, from finding love. Devoted parents and friends can't protect young Tindr from the bully who taunts him, from jealousy that turns murderous, or from the threat of surrender to the allure of the Lady of the Forest, who might destroy him. This is a good book and I recommend it. But, the publisher's description is misleading. Only about half of this book is actually about Tindr. The book starts out telling the story of Tindr's father and then how his parents met and eventually married. Other large sections of the book are about Ceridwin and Sidrock. We finally do follow stories about Tindr and his meeting a family from the far north with rheindeer and intriguing daughter. This is certainly a fascinating part of the book. We also discover what happens to the young housemaid who tried to trick Tindr into marrying her when she discovered she is pregnant by another man. 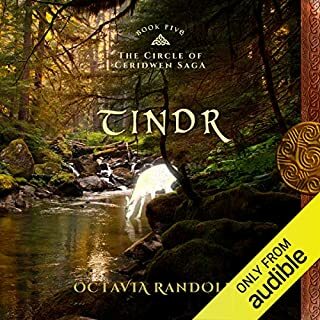 I agree with other reviewers, this book is definitely worth listening to, but it is not the best of Octavia Randolf's series. It took way too long for the author to finally hint at a plot line for this book. If she was trying to develop characters or background, the first chapter was all that was necessary. The story takes place in Wales and finally starts becoming interesting when Kearsley intermingles Arthurian Prophecies (the Welsh believe King Arthur was Welsh), the history of King Henry VII of England, and historic Welsh sites into the story line. If you can get through the first half of the book, the story becomes clever and has an unexpected ending. The characters for the most part are intellectual snobs, who the author tongue in cheek does poke fun at in her own way. The narrator tries to capture this attitude but takes it far to the extreme. Her voice is awful and takes quiet some time to get used to or possibly it softens a bit. Make sure to listen to the audio sample before deciding on this book. I do not recommend the book. Skip the first chapter of this audio. It's confusing and isn't necessary to understand the rest of the book. It's just banter between Stevie, the protagonist, and her familiar. Unfortunately, the narrator does a terrible job of differentiating between the two voices, so it's frustrating. This book takes a while to get interesting, but sometime in the third chapter we begin to realize what an important character Crispin Winterbottom, ghost and former British spy, is in pushing this story line. Win, as Stevie comes to call him, is funny, a clever character and the cause of most of Stevie's problems. As indicated by the title of this book/audio, our protagonist witch has lost her powers. She has had them literally slapped right out of her. As a witch, she mainly communicated with the dead for her clients. But she is in search of a new profession, since she can no longer serve as a medium. Enter Win, the ghost who can communicate with Stevie. We don't learn why they can communicate in this book, but we do make lots of other fun discoveries. Ironically, one of those discoveries is the murdered body of the local non-witch "medium". With the discovery of the body and Stevie becoming the prime suspect, she must learn the skills of a detective. Who better to teach her than former spy Win. This book is worth listening to, but be aware it is short. 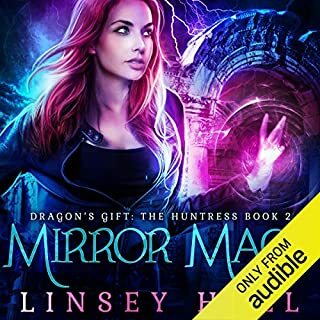 Mirror Magic is the second book in the Ancient Magic series. It's packed with magic. The heroine, Cass for Cassiopeia (the constellation), is learning just how powerful she is. As one can guess from the title, Cass is a mirror mage. She can take the magic of another mage, but mirror mages can only use their newly acquired magic one time. Fire souls on the other hand . . . In this book, Cass slowly learns of her early years and how she is being hunted by a monster. Yes, that is how the author refers to it, as the “monster” not terribly clever or imaginative. Cass helps to save a young girl by taking on the girl’s cursed slave collar. Needless to say, this puts Cass in grave danger, having most of her power drained from her. This is a book of accepting help from others and learning team work. Ultimately Cass develops her own magic, but must also rely on Ayden (the Origin), her drafeur, her close friends who run the "little coffee shop next door" and an outsider from the dreaded Alpha Council who could have her thrown into the prison for miscreant magic users. Hall develops the concept that the sisters (drafeur), Cass, Nix and Del, collect ancient enchanted items, whose magic is waning, from tombs etc; create a replica of each object and its enchantment; put the enchantment into the replica and then return the original magic item to its home. Cass voices great respect for the ancient buildings she enters and the enchanted items she seeks and so we begin to understand her sincere and honest character. 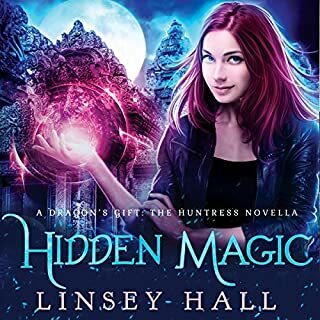 Lindsey Hall does a wonderful job of reminding us how magic and magic creatures give off their own scents and even their own tastes. She has a wonderful grasp on how to write about magic and magic plot lines. Unfortunately, the writing is not very sophisticated and the dialog is bland, very much he said - she said unimaginative kind of stuff. 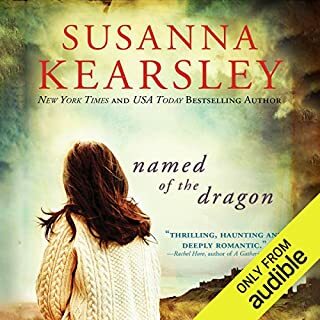 This is a very short book, which should be considered when purchasing audible books with credits. The book was about killing, killing, killing. 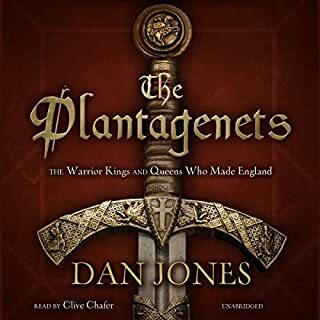 There must have been other interesting information about the success of these Plantagenets. Did they bring any architecture, medicine, science, government, policy, law, anything besides killing to the time period and to the English kingdom? This book was mostly about territories that would become part of France. It was repetitive, as was apparently, according to the author, the Plantagenets reign. Loose territory, gain the territory back only to loose it again. Tedious. Would you ever listen to anything by Dan Jones again? What three words best describe Clive Chafer’s performance? I finally gave up and did not even finish listening this book. Cass Clereaux is good at two things: finding treasure and killing demons. Lying low is a close third - but not because she wants to be good at hiding. Cass is a FireSoul, one of the unlucky few to inherit a piece of a dragon's soul. 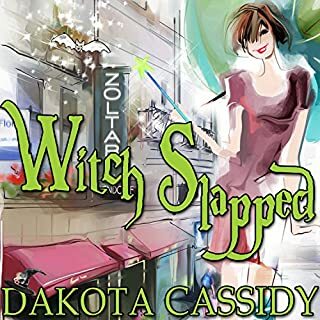 On the surface, the perks are sweet - she has the power to find and steal any type of magical treasure, including the powers of other supernaturals. But it doesn't come without a price; stealing powers requires that she kill, and others would destroy her if they discover what she is. What did you love best about Ancient Magic? 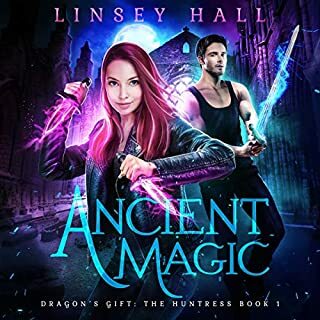 Ancient Magic is packed with fun magic - phantoms, a gryffin, shape shifters, daggers that the heroine can call back to her. In this 1st book in the series we meet Cass (short for Cassiopeia) and her drafeur - sisters, not blood sisters. We learn of the magic she has and that which she must hide. Linsey Hall has developed an interesting plot line. Cass and her sisters own and operate a magic store and have become close friends with their Irish neighbors. This method of reviewing a book is really weird. It doesn't allow one much ability to discuss the important stuff we want to talk about. Audible should get rid of their questions. The narration was hard to get used to. The narrator sounded very young and didn't really match the story line. Her Irish and Scotch accents were fun. This entire series of Ancient Magic books are very short. Before you decide to spend your credits on them, compare the length of these books. They are all 6 to 7 hours. Most books on Audible are on the order of 15 to 18 hours. Regardless, these books cost the same number of credits as longer books. I looked at the way Amazon charges for these books on Kindle. On Kindle they are sold in groups, which is much more equitable. Audible needs to find a better way to sell these short books.